Real Deal is the first clean living company to exist. Real Deal was founded in 2016 with one large goal in mind: to get people off of substances and find a life of purpose. We believe each individual must grow into a fully functional member of society through repairing and rebuilding family relationships, forging lifelong friendships and most importantly, learning to be content and love themselves for who they are. Living at Real Deal means living in a positive environment that encourages a healthy and sustainable way of life. Residents help each other to care for their physical and spiritual well-being. Accountability from both other residents and staff identifies and corrects problems before they lead to relapse. The structured environment makes sure residents get up in the morning and apply themselves to work, school or volunteering. While the structure and rules at Real Deal are taken seriously, residents are also encouraged to have fun and engage in social activity. We believe recreation is a key part of a balanced and happy life, so we facilitate group fellowship and leisure. All this helps men to live a happy, joyous and free life. All of our house managers are people who have been through the Real Deal Program. We believe in our program, and the people it produces. Parker is the proud founder and owner of Real Deal. He created this company to provide a way for people to find much more than just the avoidance of drugs and alcohol. He wanted to help people find a completely new life. Dustin is the heart and soul of RD. Dustin was born and raised in Plano, Texas. He has successfully accumulated over 10 years of sobriety in the past 11 years. Dustin, who is extremely familiar with relapse, its cues and how to overcome the urge to relapse. 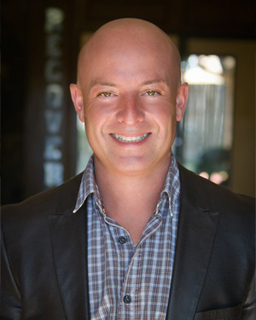 Dustin's true speciality is showing each individual how to live a CLEAN life, bringing happiness and passion as well as sobriety into their recovery. After his release from TDCJ, Connor was given a new lease on life by Real Deal. Now he's giving back. As the Watchdog, Connor will be keeping a close eye on all residents from the beginning to the end of their stay at Real Deal. The Watchdog will find appropriate counseling, contact families weekly and make sure each resident is progressing and reaching his full potential. Devin started abusing drugs and alcohol as a teenager, and stumbled through his adult life. He went through 8 treatment centers and countless sober living programs all over the country before he finally found success at Real Deal. With the fellowship and camaraderie surrounding him, he found the tools he needed to live a sober life of hope and purpose. Now he is beyond grateful to help those coming into Real Deal. Having over 6 years of continuous sobriety and many years working in the industry, Will believes he has what it takes to show men how to live in recovery long term. Jim, manager of the men's house in Richardson, is one of Real Deal’s longest employees. His leadership, organizational, management skills, and willingness to help others have contributed to the longterm success at our Richardson location. Jim possesses a master of science degree and originally is from the east coast. Being a resident with RD from day one of sobriety, Robert completely changed his life around. From obtaining constant employment, getting a car, exercising regularly and helping people, Robert is a shining example of what our program can do for others. We are grateful to have a true example to lead the residents at Dallas. Stas, who lives in Wisconsin, has been with Real Deal since the beginning in various roles and currently coordinates online content and marketing efforts. Christena has a heart of service. Though her path was a rough start through her early years, she has transformed her life into something beautiful with the help of others and her Higher Power. She hopes to instill in other recovering women what she has found- grace, dignity, and above all hope. The staff at Real Deal found sobriety through twelve-step programs, and we believe the residents can too. We emphasize attending meetings, practicing daily disciplines, and working through the steps. No prior experience is required for this, only an open mind and the willingness to change. We are an all-inclusive clean living facility providing food, a gym membership, and providing bus passes for transportation. We strive to keep the family involved in the recovery process. Our program director and manager collaborate to provide a weekly progress report on each resident. Each morning we have a meditation group. In order to provide a structured opportunity to explore the benefits of meditation, this activity is mandatory for residents unless they are at work or school. Each Sunday we have our accountability group. Groups are peer to peer as well as staff to peer. Most people do not take very good care of their bodies when they are drinking or using drugs. 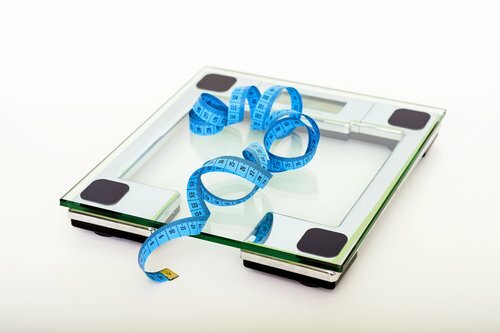 Once they decide to get sober, they often want to get in shape, but don’t know where to start. This is where lifting comes in. Regular exercise is considered very important to good health and can play a major role in the recovery process. Lifting is a convenient and accessible way to get this exercise. Weight lifting has a lot to offer for beginners, since new lifters can start with small weights and work their way up over time. It continues to offer benefits to those who have been lifting for years as well. Those who stick to a lifting plan, like the one we provide our residents, often experience major positive changes. Lifting is also a convenient form of exercise. Most neighborhoods have a gym in close proximity, and being inside means weather is not an issue. It is also easy for multiple people to lift together—this helps to build relationships and have fun, both important parts of recovery. Another unfortunate reality of addiction is that addicts and alcoholics do not usually have a very high opinion of themselves. After spending years being unable to stop using or drinking and seeming to make no progress in life, it is no wonder they feel this way. The best way to fight this feeling is proving it wrong by having accomplishments to feel good about. Any good weight lifting plan, like those we provide, has goals and a starting point. After being stuck in the cycle of addiction for years, addicts and alcoholics new to sobriety are amazed when they start seeing real progress. These lessons matter just as much outside of the gym as they do inside it. We believe that when people in recovery finally begin to see positive changes in themselves, there is no limit to what they can do. These changes result in a major self-esteem boost. Instead of being unhealthy and directionless, they grow stronger and witness firsthand how dedication and effort can pay off. They begin to truly believe in themselves. They can use this newfound belief to remain sober in the face of the pressures of life and be successful in school and work, building a great new life after the devastation of addiction. *Numbers in parentheses indicate the amount of repetitions per set.